The Creators are belived to be a travelling cluster of different races who came from another galaxy in seach of the perfect nesting place for creating soliders for their intergalactic war. They noticed the Earth's peculuar chemical property and set up colonies there and over a long period of time they experemented on building the supreme being for war. They created many beings but their ultimate achivement was humanity. They could have gone futher but I think they thought it was best for humanity to continue working on the perfect battle beings, while they tend other matters. 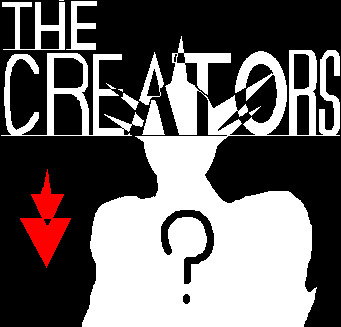 For reasons unknown the creators left Earth. Possibly there intergalactic war had ended or a bigger threat came. All that remained from their culture/belongings on Earth were the relics of one of the 'space ships' and in the relics were three bio-booster armour units.